Thousands of years ago, philosophers and scientists in ancient India devised a system called Ayurveda, or “the science of life,” which explains the nature of everything in the universe. 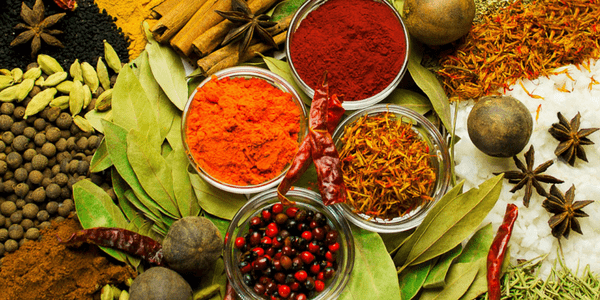 Today, Ayurveda is not only the world’s oldest holistic healthcare system but also a medical science, with fields such as surgery, psychiatry, and women’s health. Ayurveda’s principals are more than ancient rules as it is still a living tradition offering a way to achieve balance, longevity and health of body, mind and soul. Its wisdom has endured for five thousand years, being continually tested and reinforced, confirming the safety and efficacy of the Ayurvedic way of life. Ayurveda views that the human body, when healthy, is in harmony, self-perpetuating and self-correcting just as the universe is. We get unbalanced through diet, emotions, lifestyle, seasonal factors, physical trauma, and toxins. Ayurveda seeks to find this root cause of imbalance and prescribes different regimens for each individual to restore balance. In this way, it treats the whole person, not just presenting symptoms. And this is where the ‘doshas’ come in. As we are all considered unique beings, there are also not many ‘one size fits all’ solutions. It does take a little time to discover your type but it then offers a ‘Users Manual’ for how to get the most out of life. The Ayurvedic toolbox covers diet, natural remedies, lifestyle practices, rejuvenation and detoxification processes, hands-on therapies, as well as meditation and the principles of ‘wise’ living in order to have healthy minds and bodies. But be warned… there are no ‘quick fixes’ as Ayurveda is a way of life rather than a short-term intervention. Ayurveda revolves around the concept that everything in the universe is made up of varying proportions of five basic elements. This may seem simplistic but it is a sophisticated way to classify all matter found on earth. 1. Space/ether– is empty, allowing movement and communication. Includes all space in the body include mouth, nose, gastrointestinal tract, lungs and abdomen. It is associated with sound and the sense of hearing. A dietary example predominant in this element is popcorn. 2. Air – is energy and is responsible for all movement within the body. It governs the nervous system and is responsible for respiration, ingestion and elimination. It is responsible for the sense of touch and the skin. Examples include the various gases in the body and pulses which can create gases! 3. Fire – is radiant energy and is responsible for body temperature, transformation, digestion, absorption and assimilation of thoughts as well as food. It is associated with the sense of vision and the eye. Includes all spices, such as ginger, pepper, and garlic. 4. Water – is fluid and binds everything together. It is anything fluid in the body such as plasma, intercellular fluid, urine, sweat and saliva and is responsible for the sense of taste. Diet examples include milk and fruits. 5. Earth – gives stability, structure, strength and stamina to our bodies in the form of bones, teeth, skin etc. and is responsible for the sense of smell and the nose. Diet examples are rice, wheat, carrots, and beetroot. Whether we are talking about diet, the weather or yoga, all things can be described in terms of these five elements. We easily utilise plants, herbs, minerals, food and water because these substances are found in our own underlying make-up. Using the idea of the 5 elements, we can start to understand what foods might help us and which might cause problems. For example, if a person was very predominant in the fire element, with rosy cheeks and a tendency to overheat, they would do best to minimise spicy food and other sources of heat, such as sunbathing and saunas. Similarly, fresh ginger root, which is warming, can be used to help a person predominant in the air and ether elements which are both cold by nature. High-impact exercise, which is stimulating and warming, would help someone predominant in the earth and water elements, which are both cold and heavy. If you are interested in learning how to balanced these elements through learning more about the Dosha system please read our next blog going into more detail about them. 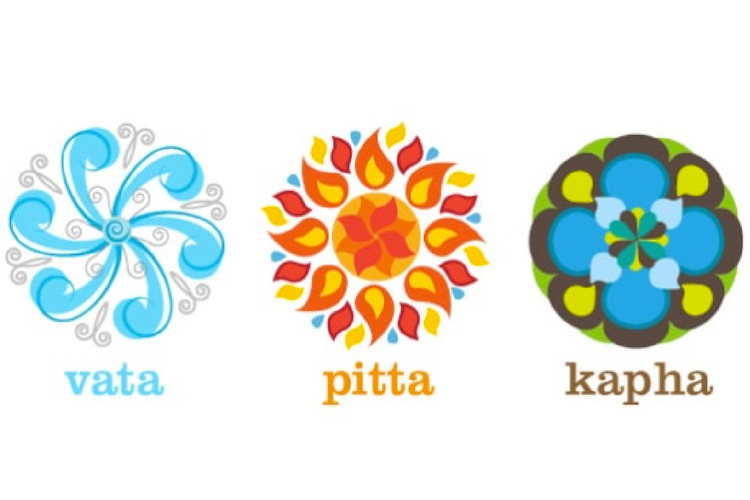 Which Dosha are you? Written by Joanna Webber. Joanna is an experienced yoga teacher and Ayurvedic practitioner. 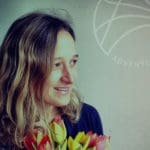 She trained with the Sivananda school of yoga (including their Advanced Teachers Training course) and the Manipal Ayurvedic University of Europe for a BSc in Ayurveda. She founded Ayurvedic Yogi in 2006 to help make Ayurvedic and Yogic wisdom more readily available.